Web-based construction project management software gives you the ability to manage the your work no matter where you are. Whether you are in the office or in the field, Web-based (a.k.a. “cloud-based”) services and applications allow you to manage the flow of information required to successfully communicate, coordinate, and complete your construction projects. 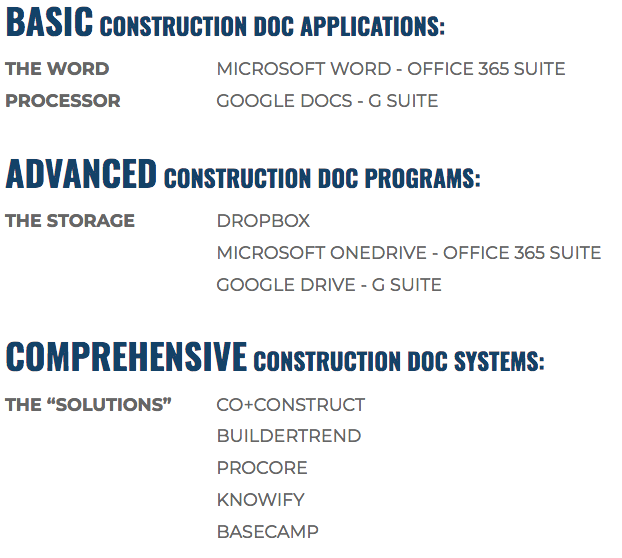 In this article on FineHomebuilding.com, I discuss the benefits of utilizing cloud based applications in your construction business and describe how you can use these applications or services to streamline your construction business. applications, services or resources made available to users on demand via the Internet from a cloud computing provider’s servers. THE CLOUD = THE INTERNET. 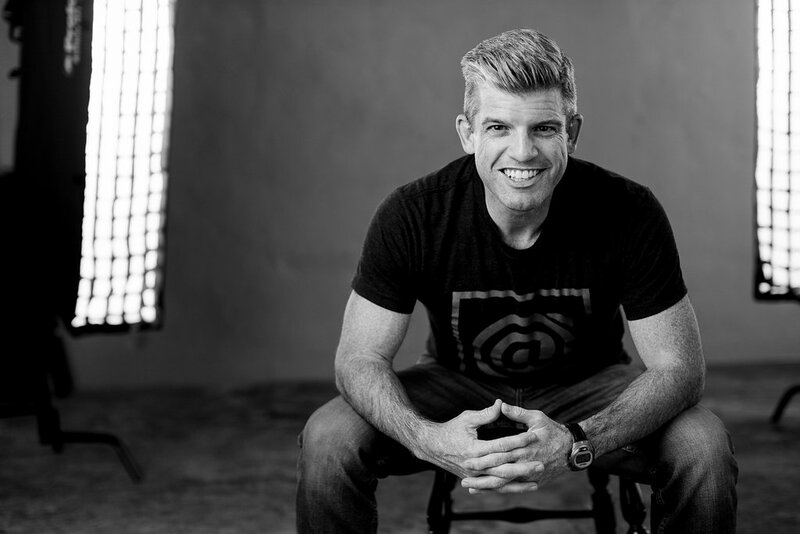 If your construction company is not using the cloud in your daily operations to communicate with your clients and coordinate your projects with your team, then you will not be as successful as you could be over the next few years. 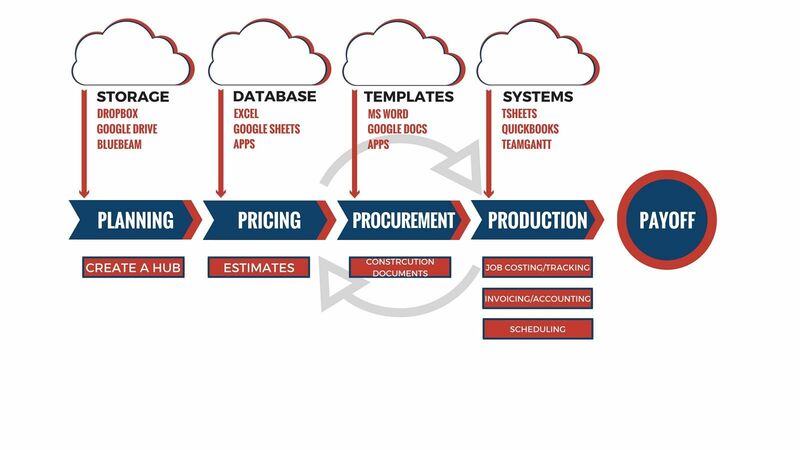 Construction companies that leverage the power of the cloud will be able to systematize their processes, increase response time, and deliver a more consistent product and service. Leveraging this technology will help you to innovate. Craftsmanship will be defined by the innovation you employ in your construction business. Craftsmanship will not take a back seat to technology. Craftsmanship will be assumed when you operate with innovation. Successfully managing a construction project, and the overall business for that matter, involves coordinating a countless number of tasks, decisions, and data points on a regular basis. 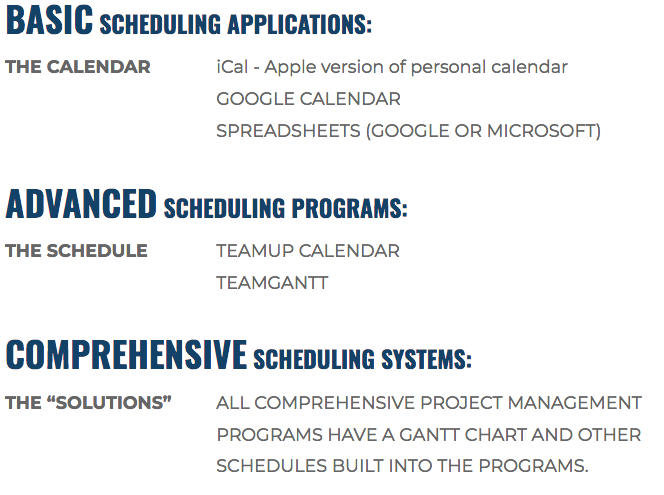 *NOTE: This is only a sample of the tasks that can be enhanced by using cloud-based applications. This article will focus on 5 areas of Project Management: Estimating, Construction Documents, Job Costing, Invoicing, and Scheduling. The heart of any estimating program is a database of information. This database should include a standard list of tasks, materials, subcontractors and equipment required to perform a job. Compiling this information and formatting it so that you can easily reproduce it again and again is the purpose of any estimating program. 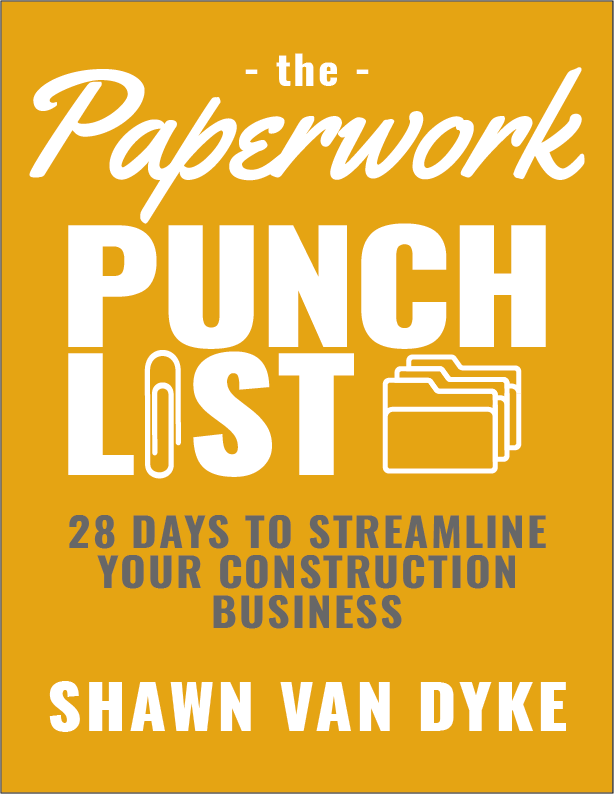 Construction contracts, specifications, design and shop drawings, and change orders need to be easily generated, shared, approved and executed in order to successfully complete a construction project. Cloud-based applications can help ensure that you have a defined process and that your process is followed and updated. Your process is only as good as the documents that you produce to track it. 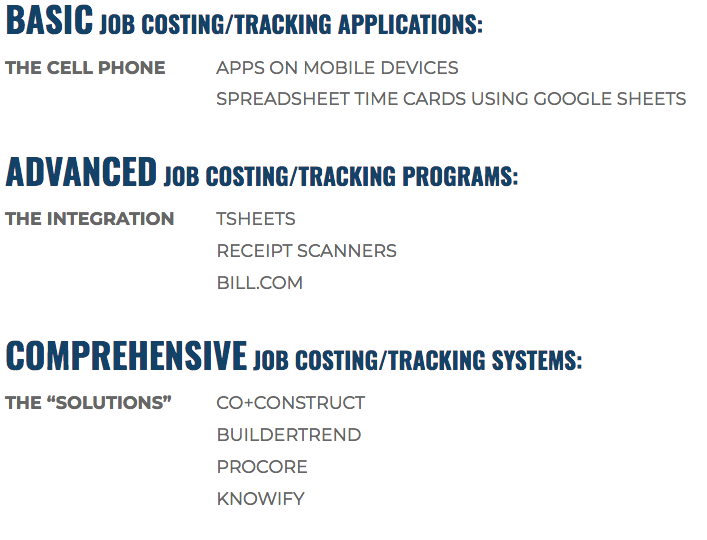 There is no shortcut to JOB COSTING/TRACKING, but there are ways to streamline this essential process. Tracking your projects in the same way that you estimate them is key to understanding your margins and levels of production on your projects. 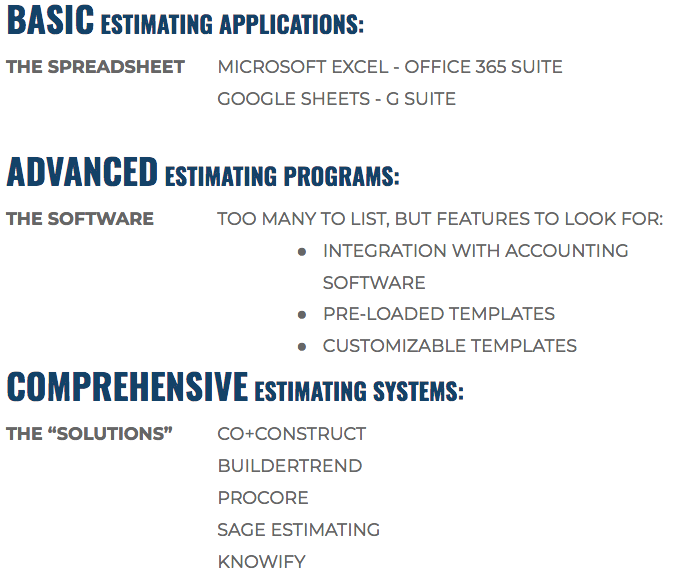 Using these applications will help you standardize your construction business. There are several items you should track, but the main two are LABOR (time) and MATERIALS (vendors and suppliers). In-house staff or even an in-town bookkeeper or accountant is no longer required because of the advancements in cloud-based accounting programs. 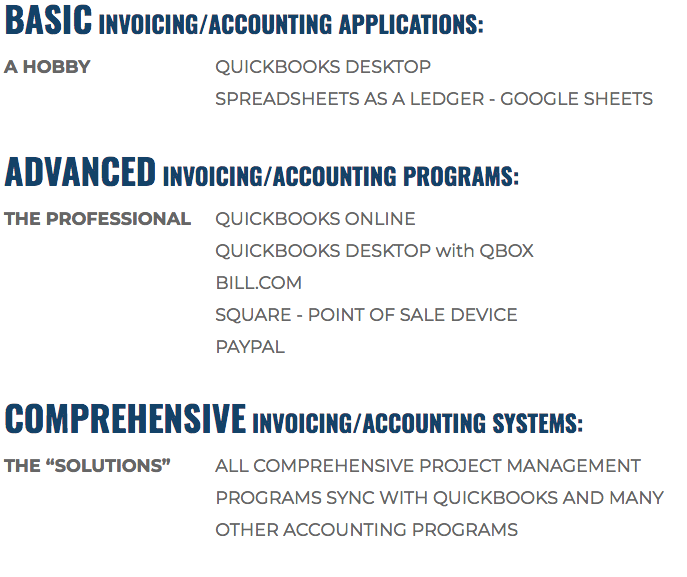 *NOTE: You should employ or contract with a professional in these fields familiar with the accounting programs listed below. Publishing the information regarding the production of the project is vital for not only team members, but also subs and clients. The cloud makes publishing this information easy and accessible for all parties. This article only scratches the surface of the available cloud-based services and applications for the construction industry. You should research the best options for your construction company and test them before you attempt to implement them throughout your construction business. No matter how many features an application has, if you no one understands how to use them all, then you could be wasting time and money. I suggest using multiple BASIC applications to keep integration simple and replacing those applications with more ADVANCED or COMPREHENSIVE applications as the need and ability arise. In order to stay relevant with your customers over the next few years, you are going to have the meet their expectations for on-demand services and the ability to expedite your process. Running your construction business by utilizing the cloud will provide that level of service.